Does a Dontari Poe reunion make sense for the Kansas City Chiefs? Chiefs wide receiver Albert Wilson appeared on SiriusXM’s NFL Radio Thursday afternoon. The four-year Chief will become an unrestricted free agent when the league year begins on March 14. "Kansas City knows what I can do. We’ve built a good relationship over the years. Not sure if they want me back but I showed what I can do on the field"
This is the first we’ve heard from Wilson that I can recall since the season’s end. Pro Football Focus recently referred to Wilson as a must-sign player for the Chiefs, and after I reviewed his stats from Patrick Mahomes’ lone regular-season game, I agreed. Wilson set career-highs in receptions (42), yards (554) and touchdowns (3) in 2017. Head coach Andy Reid actually spoke to his development prior to the Chiefs’ playoff loss to the Tennessee Titans in early January. The coaching staff likes Wilson, but his future with the Chiefs is now in the hands of general manager Brett Veach. What Veach will do is a bit of a mystery at this point. 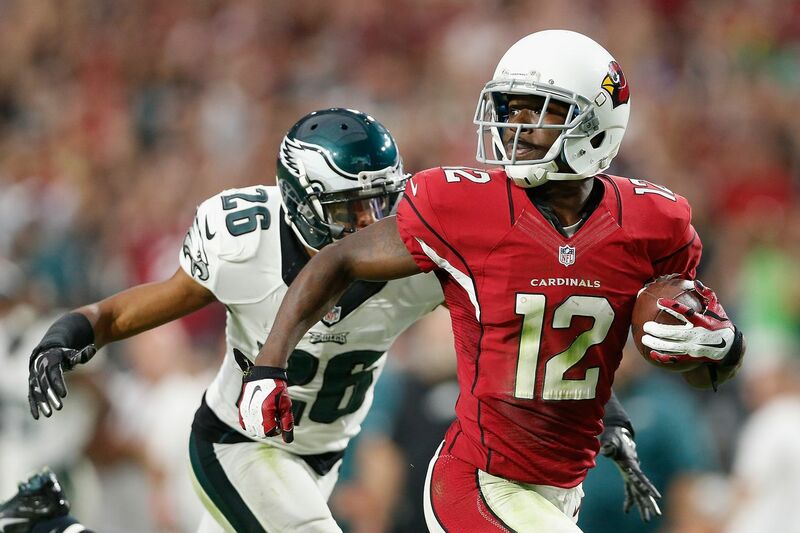 We outlined some potential veteran alternatives Thursday morning if he chooses to go in another direction. What is that expression… Sometimes you throw something at the wall and hope it sticks? I have always felt this time period—right here, right now—is the part of the NFL year that fits that phrase perfectly. Free agency has yet to begin. Trades (yes, Alex Smith is still, according to the league, a Chief), can’t happen. The draft isn’t until April 26. But if you are reading this website, you probably love the NFL, you probably love the Chiefs, and you cannot help but speculate. So let’s speculate, shall we? The idea for this article came to me after Matt Stagner suggested the Chiefs need a veteran wide receiver next season. 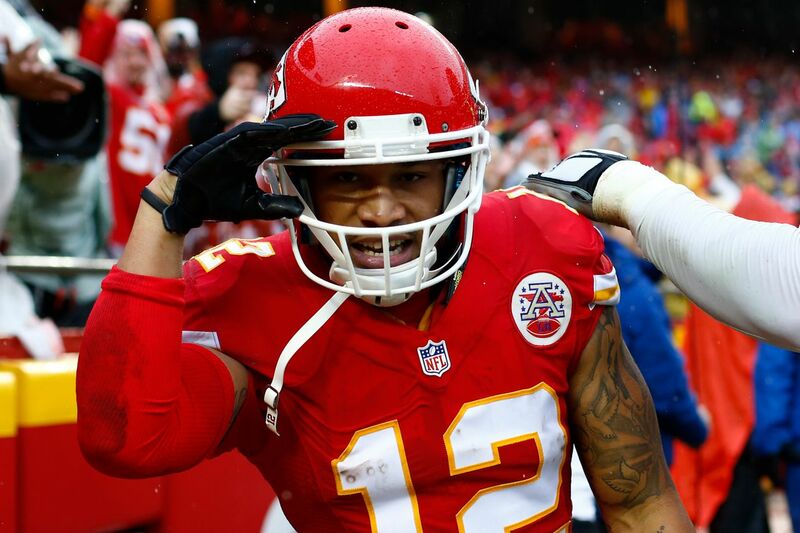 Kansas City could lose Albert Wilson if someone is willing to pay him handsomely and the new cost-efficient Chiefs aren’t willing to match. It also does not help that there are two men in particular—the Bears’ Matt Nagy and the Eagles’ Doug Pederson—who realize his true value and may be willing to spend to recruit him. So let’s assume for a second Albert Wilson is gone. The oldest wide receiver on the roster less Wilson is Chris Conley at the age of 25. I happen to think Conley is a great player, and since his ruptured Achilles injury happened in October, he should be OK to go by May. Andy Reid often credits the development of Tyreek Hill, Chris Conley and Albert Wilson to former Chief Jeremy Maclin (at one point during the 2016 offseason Maclin actually made Conley return to Kansas City to work out with him), and I tend to think this is something Reid truly believes rather than coachspeak because he has continued to mention it even after Maclin’s 2017 release. It is unlike Reid to mutter a former player’s name unless it is real and means something. So despite the Chiefs’ deliberate push to get younger, I think Reid likes veteran impact in each room. Further proof is Jason Avant’s roster spot on the Chiefs at the age of 32 in 2015. The point of my long-winded thought process is to tell you I agree with Matt. I think there is a reasonable chance the Chiefs bring in a receiver older than 25 into the room. And if Wilson’s gone, an ability to play in the slot will help. Richardson is 25 now but will be 26 by the time the 2018 season begins, which would make him the oldest wideout in the Chiefs’ locker room. I began this list with Richardson because his name is already out there: Around the NFL writer Marc Sessler listed him in Wednesday’s Potential offseason additions for each AFC team. [Richardson is] a juicy, playmaking pass-catcher to pair with starry Tyreek Hill in an offense now under the control of quarterback Patrick Mahomes. Richardson turned the corner in his fourth season with the Seahawks, jumping into the starting lineup and showcasing daunting speed and a knack for highlight-reel grabs. Ideal for Mahomes. 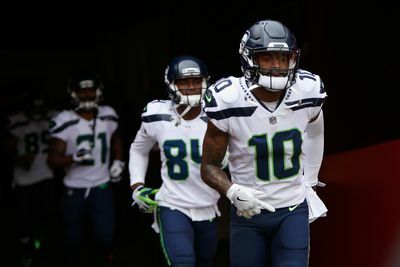 The Seahawks drafted Richardson in 2014 with their second-round pick, and it took until last year for him to breakout—he had 44 catches for 703 yards and six touchdowns. Before that, his season-high in yards was an alarming 288. I suppose what makes him “ideal for Mahomes” is that Russell Wilson is similar, but I’m not sure the Chiefs jump here. It is worth noting that Richardson did played college football at the University of Colorado, which new offensive coordinator Eric Bieniemy has serious ties to. There thus are plenty of people the Chiefs could call to get the low-down on Richardson. Is it time to bring the Pittsburg State standout home? The things we know: Brown can ball—he started 11 games in 2015, caught 65 balls for 1,003 yards and seven touchdowns. He also has made a name for himself in the slot, where he could be a perfect fit for the Chiefs. The thing we don’t know: Since that 2015 season in which he started 11 games, Brown has only started…11 games (2016-’17), which is a serious cause for concern. Brown has had hamstring, quad and turf toe issues. Brown would be a fit. The question is bad luck vs. injury-prone, and the person the Chiefs will trust to answer that is head athletic trainer Rick Burkholder. One aspect Burkholder will certainly be looking into is Brown’s sickle-cell gene, which has supposedly caused all of the injury issues. But if Burkholder says he’s good, why not give him a year? Our own RealMNchiefsfan mentioned Wright in his If I Were Chiefs GM Brett Veach series a week ago. Wright is a solid veteran receiver at a position of need, and I think he’d make a nice, cost-effective addition that would keep the offense from losing a step with Wilson leaving. In fact, I think there’s a chance he’d be an improvement in pure receiving ability, though he doesn’t have Wilson’s ability after the catch. Wright has six years of NFL experience, spending the first five with the Tennessee Titans before last season with the Bears. His best season was 2013, when he had 94 catches and 1,079 yards for the Titans. 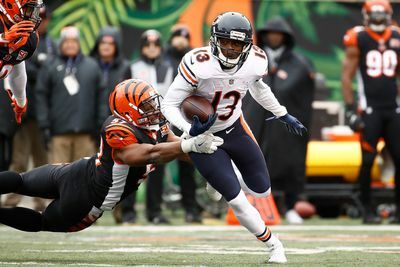 Due to the Kevin White injury, Wright was essentially the Bears’ No. 1 and seemingly only decent receiver last season. Perhaps he could excel in a locker room leadership and secondary on-the-field role with the Chiefs. Ellington is a major free agent to watch this offseason given the Chiefs have already put a wavier claim on him previously—last year in August. The Jets won out on the waiver claim but Ellington was ultimately waived by New York due to failing a physical. Ellington has shown flashes in the past of becoming a good slot receiver, but injuries have held him back even more so than the aforementioned Brown. After being selected by the San Francisco 49ers in the fourth round of the 2014 NFL Draft, Ellington had just 19 catches for 215 yards in two seasons (2014-’15), then a torn hamstring caused him to miss all of 2016. Ellington was having the most productive season of his career in 2017 (29 catches, 330 yards and two TDs) filling in for Will Fuller before his hamstring acted up again and the Texans placed him on Injured Reserve in early December. The injury risk with Ellington is high, but the Chiefs have shown interest in the past. Back to Burkholder—if Kansas City thinks he could be ready to go, perhaps you see Ellington in red and gold at training camp. Did you know free agent wideout Taylor Gabriel is the best friend of Chiefs running back Charcandrick West? No!? Let me recommend this fabulously-written Chiefs dot com article about it. You have to think West has been playing recruiter this offseason for his college teammate and best friend in Gabriel, but the question is whether or not the Chiefs would be interested. I’m not sure if the Chiefs would be. Though I like Gabriel and think he would come at a much cheaper price than other big-name receivers on the market, his numbers heavily declined in 2017, dropping more than 200 yards (579 to 378) despite nearly the same number of targets and 192 more offensive snaps. The 5-foot-8 Gabriel also made it clear in the summer of 2017 that he is NOT a slot wide receiver. Maybe the Chiefs could convince him otherwise, reuniting him with his best friend. A surprising name sits at 0-1 heading into week two of the 2017 NFL season. The New England Patriots, heavy favorites to reach, if not win, a third Super Bowl in four years, ran into a Kansas City–shaped wall in Foxborough last Thursday night and lost their opening game. Will Tom Brady and the Patriots rebound? Derrick Johnson’s 13-year career in Kansas City has come to an end, and the Chiefs hope they can replace him as well as they have other again stars.